Hi Band / Choral Teachers! Would you like to get your students out of their schools and have some uninterrupted rehearsal / clinician time? Bring them to the Dartmouth Music Centre! Our facilities are often empty during the school day and are FREE of charge for HRCE teachers / students during regular school hours (not available past 3:30pm). You can rehearse your ensembles for a full day, half day, mid-day, whatever works for you. We also have a number of smaller rooms if you choose to hire clinicians for sectionals, or at least break in half. They also have chairs, stands and pianos. I am also here free of charge as a band clinician if you wish for me to spend an hour with a section, full ensemble, do a mock adjudication, offer suggestions for rehearsal / conducting approaches, etc. There’s a comfy place for chaperones to hang out. You will need to arrange your own lunch plan if you’re here over the lunch hour. Some teachers have students bring their own while others arrange for pizza. 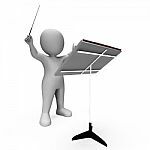 You can team up with another band / choral teacher and their students to work together (and save on bringing in extra clinicians). We may be able to accommodate larger groups by using the gym in the attached elementary school (only available on certain days). For those of you who have done the Grade 6 Band Nights in the past . . . This could be an alternative plan for you and your students, and more catered to your specific needs and music selections. Note: Parking is limited. Be sure your chaperones are made aware. Contact ppaddock@hrsb.ca to book an available date.